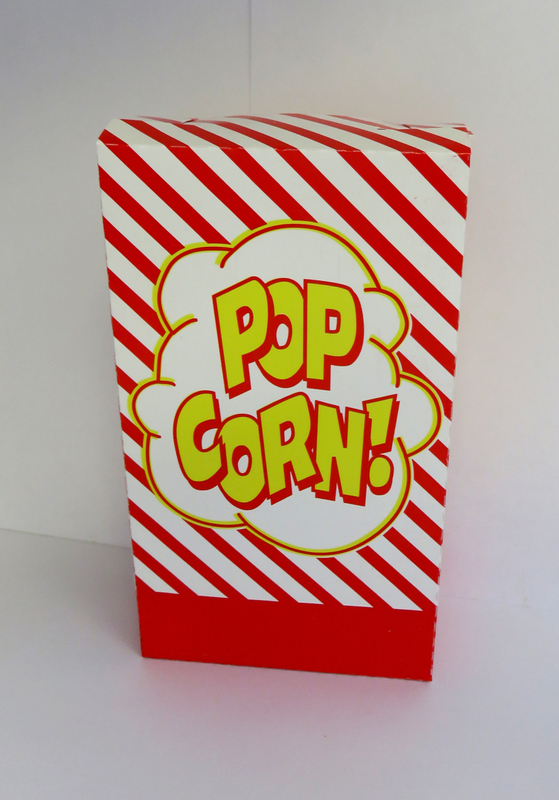 This bright red and yellow box is very flashy and helps sell more popcorn. Unlike a regular popcorn bag you can fill these in advance to speed up sales. They close on top and are stackable. 4 3/8" x 2" x 7"